The late Madiba’s role in fighting the brutally racist apartheid in South Africa earned him his liberation-hero credentials. His incarceration in prison for 27 years earned him respect. His reconciliatory approach in forging national unity conferred on him the role of Madiba, the father of the rainbow nation, and the Nobel Peace Prize. His decision to quit the seat of power after just one term in office in 1999, a marked departure from the ruler-for-life approach of the Mugabes, the Bongos, the Biyas, the Eyademas and other contemporaries sealed his status as a father to all Africans, and a global icon. 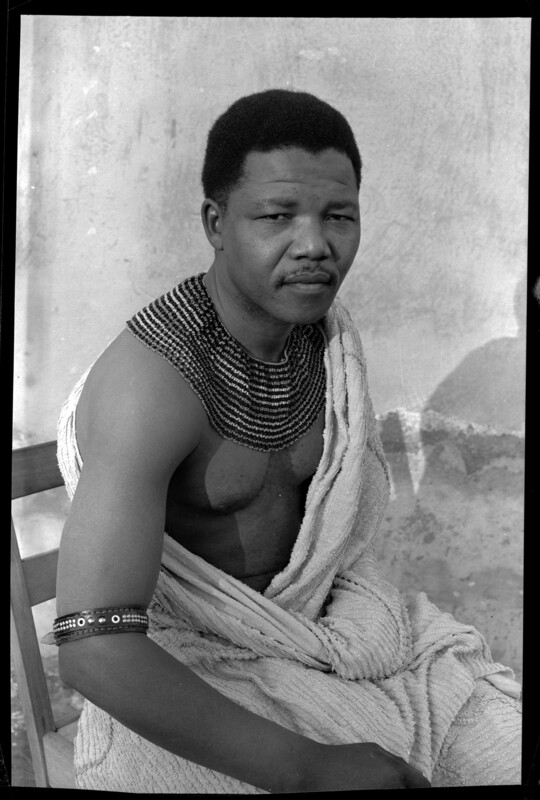 Significantly, his personal shortcomings such as his pre-prison militant life and his turbulent marriages reminded the world of Mandela’s fallibility. Yet he never shied away from these flaws. He acknowledged them and sometimes poked fun at himself with his unique sense of humour. “Self-mockery was a typically savvy Mandela ploy to ensure that people would relax around him”, says Robyn Curnow who has been in close proximity to him. At an imposing 6ft 4in in height, Nelson Mandela towered both literally and figuratively, above the apartheid oppressors by his forgiving, unifying and reconciliatory approach, and above many other African leaders. Yet he never saw himself as a demi-god, a saint or a messiah superior to his people, whom they couldn’t do without. Indeed he was known to discourage the tendency to resort to hero-worship. He was quick to remind South Africans that he was very human, incapable of meeting all of their impossibly tall expectations. Only a truly great individual could be this sincere and modest when he could simply claim all the credit! Humility underlies his pacifism, his struggle for justice and equality. Going by his speeches and manner of interactions, Mandela did not elevate himself above others. He made the effort to be humorous around everyone to make them comfortable, not intimidated, around him. Many an influential politician and Hollywood celebrity have been awed in his dignified presence, yet have been disarmed by his down to earth personality. It would seem this modesty was driven by the self-recognition of his flaws. It in turn drove his commitment for justice and his pacifist approach towards those he regarded as equals. The combination of all these made him a globally influential icon inspiring billions from North America to South-East Asia, from South America to the Arab world. Perhaps it was the acknowledgement of his past failings, particularly his previously militant approach to fighting apartheid which made Madiba conciliatory. If he regarded himself as fallible, then his oppressors had to be as well. They could be forgiven and everyone could join hands in working for a better future. Similarly, this humility fueled his quest for dignity and equality. As an elite within his Xhosa nation he saw himself as ordinary, not driven by a myopic ethnic chauvinism so prevalent elsewhere in Africa and he expected to be treated with the same dignity. Consequently, he was one of the few individuals in the world to famously refer to the Queen of England by her first name “Elizabeth” rather than “Your Majesty”. He was one of the few who could wear the trademark Batik shirts as formal dress and get away with it — a feat even Indonesian politicians haven’t quite mastered! The lesson here for other Africans is instructive. Humility is a critical factor in leadership. A leader ought to regard themselves as equal to those they claim to represent, else they’ll believe they’re doing some favour to their “inferior subjects”. Without humility, a political leader sees no need to be accountable to those whose mandate they hold; the Ivy-League trained technocrat is contemptuous of the people they represent because they are “inferior” beings incapable of understanding economic logic; the head of state ruthlessly crushes any dissent as a divinely-ordained purveyor of universal truth. Even social critics and activists who eke out a living faulting the establishment lash out fiercely at any interrogation of their failings or methods. While many ordinary people do extraordinary things every day, very few are able to maintain the delicate balance when thrust on a stage of fame and recognition. It is the few who are truly able to take this in their stride, manage their over-sized egos, regard those they claim to speak for as equals, who are able to attain real greatness. This is where we have a lot to learn from Madiba as political and business leaders, academics, writers, activists and social critics. We are but only human. I am thankful to have witnessed the life of this towering figure. I am grateful to the Divine Power that blessed Madiba with his wonderful gifts and enabled him to share them with the world. I am inspired to emulate Mandela’s modesty always. 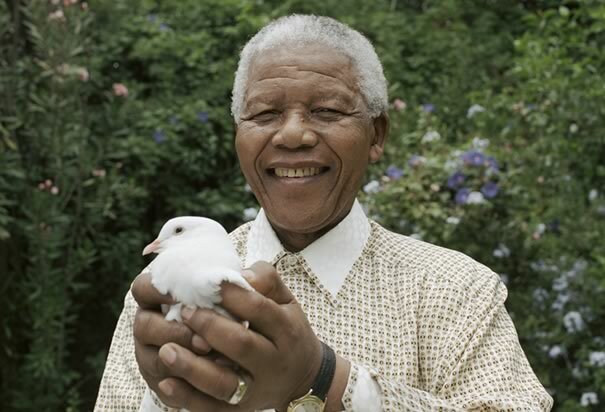 Thank you Madiba, for reminding us about the virtue of simplicity. For sometimes now I’ve read a couple of your articles. And, am sending you this message, as a way of registering my satisfaction and to say a very well done! Your submissions and premise are always objective and well thoughtful – to confess! Myself, I have interest in contributing to national discourse,socio-economic issues and societal debate; especially through writing. Against this background, I’ve also engage myself in writing. Therefore, i want to use this medium to establish a contact with you: which i hope to be purely based on assisting me in developing my writing skills and other intellectual faculties! I am Idris Evuti, i hold a Bsc in Political Science and a Masters degree in public policy and administration, from A.B.U and B.U.K respectively. And am based in Abuja-Nigeria! Thanks, as i anticipate some positive responds from you and look up to having a productive relationship with you!